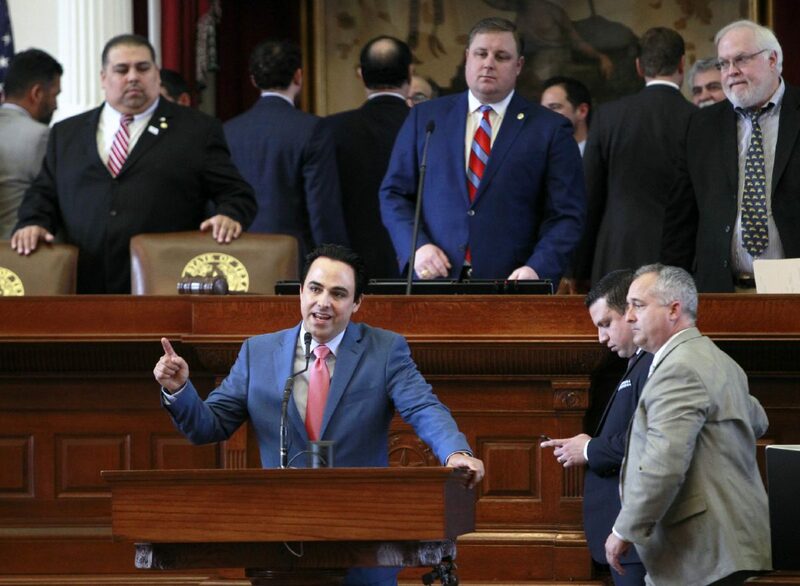 One of the most critical and highest-profile bills in this session is House Bill 81, which was filed by state Rep. Terry Canales, D-Edinburg, and would require government bodies to release information regarding how much they spent on parades, festivals and other entertainment events. Canales filed the same bill in 2017 but was killed in a procedural move. This and other efforts to maintain open government inspired the Texas Press Association to give Canales its Transparency Champion award last year. HB 81 would expand the Texas Public Information Act to include information related to the receipt or expenditure of public funds for a parade, concert or other entertainment event, and it prohibits a government entity, or anyone acting on its behalf, from including a provision in a contract that would prevent public disclosure of the expenditure. The proposed legislation stems from an attorney general’s ruling that upheld a nondisclosure clause in the contract the city of McAllen signed to have singer Enrique Iglesias perform at the city’s 2015 holiday festival. The ruling was based on a Texas Supreme Court decision on a contract between Boeing aerospace company and the San Antonio Port Authority that even information that was not copyrighted or a trade secret could be kept confidential if its disclosure might benefit a competitor. McAllen reported that it suffered a loss on the holiday festival, but did not disclose the amount citing legal ramifications. Before the ruling, state law allowed only proprietary information and trade secrets to be protected from public disclosure. Attorney General Ken Paxton, who opposed the original Boeing ruling, later applied it to the McAllen case, expanding it from manufacturing contracts to include entertainment agreements where no actual trade secrets were involved. The application of such a provision to entertainers is dubious, since there is no set market for their services. The cost of hiring Enrique Iglesias won’t be the same as another performer, and taxpayers have a right to decide whether or not the expense is justified. The only risk of such contracts is possible embarrassment if another entity makes a better deal with the same entertainer, but even that is subject to change; a Grammy award might suddenly raise a singer’s asking price, or the loss of public favor following a scandal could drop it. We applaud Canales for his dedication to open government, and his perseverance in keeping the Iglesias issue alive. We hope more of his colleagues this year agree that information in government contracts with entertainers and similar contractors should be available to the public.